We’ve written about the lamentable decline of the manual transmission, but a new report suggests Ford may be heroically reviving the three pedals when it debuts its highly anticipated 2020 Bronco small SUV. 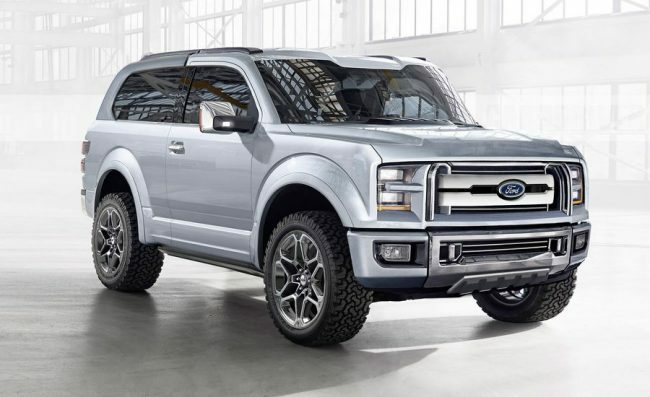 What’s more, Jalopnik’s Bozi Tatarevic reports that Ford has tapped German auto supplier Getrag to develop a seven-speed gearbox for the Bronco and will likely pair it with the 2.7-liter EcoBoost V6, which features in the likes of the 2019 Edge ST and as an option in the F-150 and is rated at 325 horsepower and 400 pound-feet of torque. Seven-speed manuals currently feature in only a handful of cars, including the Chevrolet Corvette, the Porsche 911 and the ultra-exclusive Aston Martin V12 Vantage V600. Tatarevic, who cites unnamed sources, says the new transmission will be dubbed the MT-88. He notes that Ford already sources the MT-82 six-speed manual for the Mustang from Getrag, which is owned by Canadian auto supplier Magna International. None of the involved parties, of course, are commenting about unannounced future product plans. Ford confirmed the long-rumored return of the venerable Bronco nameplate, along with the Ranger pickup, way back in January 2017, saying that the two would be built at its assembly plant in Wayne, Mich., on a shared body-on-frame platform. The last Bronco built was for the 1996 model year and was based on the F-150 pickup. It’s reportedly being engineered in Australia, where Ford also has worked on the Ranger and the Everest SUV, with which it shares a platform. With 2019 approaching, we should start learning more about Ford’s plans for the revived Bronco soon.